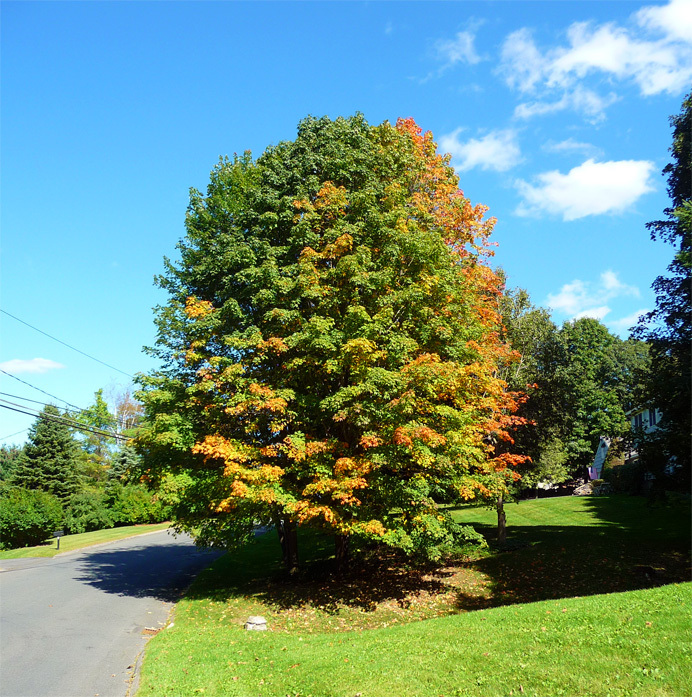 A maple tree on Judith Drive has begun donning its fall colors. Interestingly, the change seems to have begun on the south side of the tree—even though popular wisdom says leaves turn earlier in colder air. (I was too busy today to research the truth of the matter. Stay tuned.) .